Daring to do something about racial reconciliation, champion those far from God, challenge the status quo, or lift up Jesus over all other subjects, the Church of God was inspired Wednesday to reclaim what hell has stolen. It didn’t matter that the sermons stung a bit; truth can hurt, and we needed to hear the truth. It didn’t matter that a Church of God Ministries employee missed the first session of the morning; he encountered a homeless man, was compelled to pray with him, and took the time to purchase the T-shirts he was in need of. It didn’t matter that students from the school across the street from the convention host church hung out on church property, inside and out, after the dismissal bell rang; those students need Christ, and they’ve learned they’re more than welcome at Mountain Park Church—even when a convention is taking place. Radical. Bold. Life-giving. By word, example, and experience, the closing day of the first 2018 Regional Convention will no doubt continue to give life to those who attended. Following an excellent time of worship through song, led by the worship team of Scottsdale, Arizona’s McDowell Mountain Church, Allan Fuller took the stage. 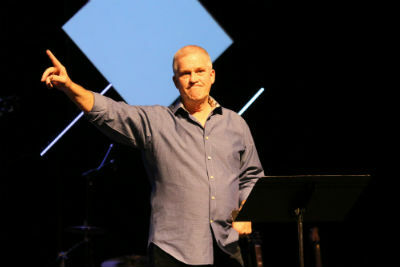 The host pastor of the thriving Mountain Park Church shared many of his insights from twelve years of pastoring one of the Southwest’s most innovative and thriving churches. Jo Anne Lyon, ambassador for the Wesleyan Church, rounded out the morning, and Jeff Whye, former IYC emcee and current associate pastor at Central Christian Church in Mesa, Arizona, started the afternoon off just right. Don Wilson, founder of Christ’s Church of the Valley, offered the closing message of the convention. The following are a few quotes from the day (For more, hear their messages in person at one of the four remaining Regional Conventions: www.chogconvention.org). Convention crowds in the lobby at Mountain Park. CWC’s luncheon was a popular event, as well, on Wednesday, and featured Glendale, Arizona’s next generation pastor Kayla Harden. The W.A.R.M. (Western Area Regional Ministerium) dinner and meeting was also well attended, and featured special music from Nueva Vida Church of God in Glendale. A town hall meeting was also hosted by the chair of the Table on Race and Reconciliation. Common themes of the day, including boldness and risk-taking, were also emphasized in worship. The closing song reminded all of us not only that Jesus is the subject, but that we now owe him everything. “Jesus paid it all, all to him I owe.” We can do “greater works,” as Jo Anne Lyon asserted, but we have to be willing to sacrifice everything, including comfort and certainty, for the adventure God has for us. Sunset over Mountain Park on Wednesday. 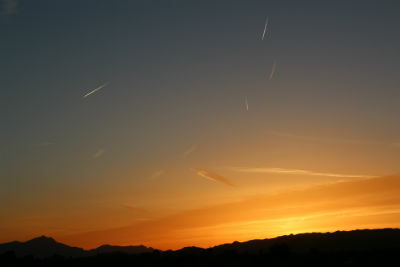 An Arizona sunset accompanied the close of the first Church of God Regional Convention. Though the beauty faded with the night sky, promise of a new day coming strengthened the gathered Church of God. As pastors and layleaders return home from #LifePhoenix, our prayer is that they will have received, heard, and embraced the fullness of life only Jesus offers. 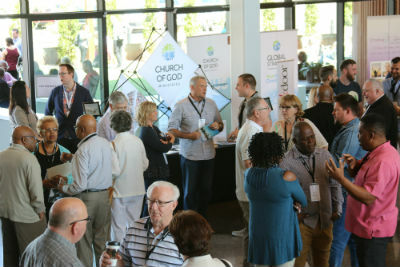 For dates and locations of the next four Regional Conventions, visit www.chogconvention.org. This entry was posted in All Church of God, Western and tagged Allan Fuller, Arizona, AZ, bold, CHOG, dare, Don Wilson, Jeff Whye, Jo Anne Lyon, Kayla Harden, Life Phoenix, Mountain Park Church, Phoenix, Reclaim, regional convention. Bookmark the permalink.